Guru Dudu takes Silent Disco to a whole new level with his Silent Disco walking tours. 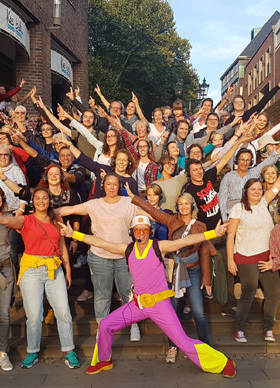 Enjoy 'Interpretative Dancing', spontaneous 'Flash Mob' dancing, hilarious comentary and lots of crazy moves to open the ‘laughter meridians’. Join Guru Dudu's emai list here.